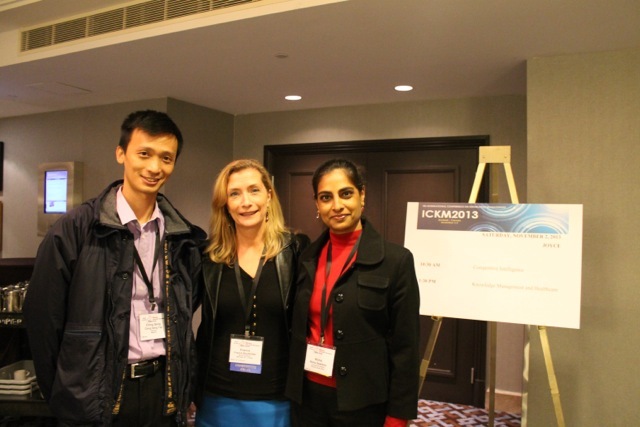 On November 1-2, 2013, the 9th edition of the ICKM took place for the first time here in Montreal, chaired by SIS Director, Professor France Bouthillier. The conference, in which 37 papers were presented, focused on KM metrics, performance measurement, capacity building, and certification. Why is ICKM special? You have probably come across ads about different conferences on “Knowledge Management in action”, or similar titles. Many of these KM conferences target private sector executives and host thousands of participants (not to mention the extravagant registration fees). ICKM, on the other hand, brings together a more collegial group of both researchers and practitioners in the KM field. These participants come from all around the world to discuss the latest studies and practical applications of KM. The smaller nature of this conference allows for deeper interaction and more opportunities to meet the speakers personally. We will witness an ever-stronger tie with big data, and initiatives to use data for decision-making purposes. Collaboration, social networking, and Communities of Practice, in particular, will continue to play an important role as enablers of knowledge sharing. Outcome metrics and systems will be key in measuring the impact of KM on an organization. KM will be particularly important in niche markets such as healthcare, nuclear energy, and emergency management. Synergies between KM and Intelligence Systems, as well as knowledge discovery techniques will continue to grow. Practitioners of KM at Golder Associates and Infosys provided us with insights on their experience in putting KM initiatives in place in the private sector (e.g. linking people within the organization). They pointed out key factors that make a community successful, barriers that might impede these efforts, and offered practical recommendations to get real value out of expertise locator systems. SIS’s new faculty member, Professor Max Evans, gave a presentation on trust as one of the major social cognitive factors that influence knowledge sharing. He also shared the findings of his research in a law firm on this particular topic. How can iSchools capitalize on branding, and create products and services that truly position them as key players in the knowledge economy? By collecting stories about how graduates have contributed to business. What makes a library school an iSchool? The variety of disciplines offered, the size of the faculty, the number of alumni, and the inclusion of faculty from different backgrounds, not only from Library Science. The topic of Competitive Intelligence was also present at ICKM. Presentations included a study conducted in the public sector in South Africa, which showed the importance of CI as a process that is used to gather actionable information and predict the future. CI allows the public sector to better leverage its competing forces to improve the quality of its services as if it were a business with external competitors. The above is just a brief summary of the variety of interesting topics presented at ICKM, and it gives you an idea of the richness of this unique conference. We look forward to next year’s ICKM edition in Paris and hope that SIS students will have the opportunity to participate! 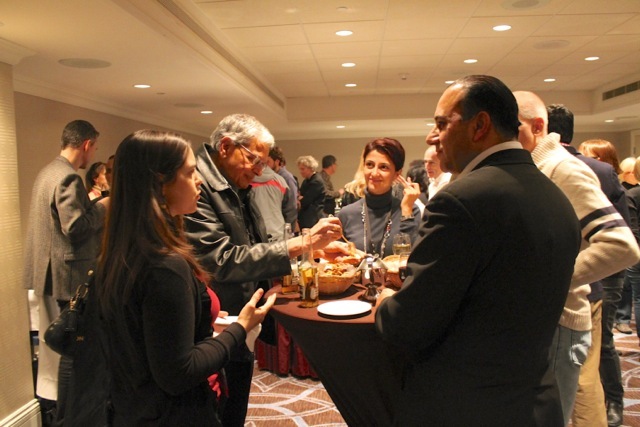 Published by Publications Committee Chairperson on November 20, 2013 at 12:23 am under Commentary, Conferences. 0 comments.